A week after Lt. Gov. Dan Patrick said there weren’t enough votes in the Texas Senate to pass legislation allowing the open carrying of handguns, Gov. Greg Abbott said on the radio that he thinks such legislation will pass. A week after Lt. Gov. Dan Patrick said there weren’t enough votes in the Texas Senate to pass legislation allowing the open carrying of handguns, Gov. Greg Abbott said he thinks such legislation will pass. 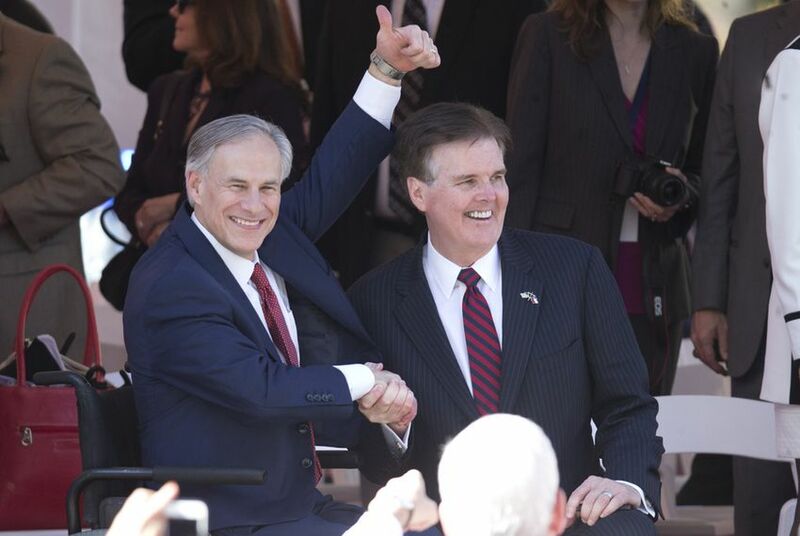 The comment contradicts remarks Patrick made at a Texas Tribune event last week. Gun rights activists quickly denounced Patrick’s comments, and he released a statement the next day to reaffirm his support for open carry. The debate over openly carrying handguns in public has been heated in recent weeks. In January, gun rights advocates confronted state Rep. Poncho Nevárez, D-Eagle Pass, in his Capitol office, and on Wednesday a video posted on the Facebook page of activist Kory Watkins called opposition to open carry “treason” and “punishable by death.” The video has been removed. “We can make strong arguments that are winning arguments in ways that don’t threaten others, that will turn out to be better for everyone,” he said.